DJ Spen began his career at the age of 13, producing mix shows for WEBB AM in Baltimore. Even at that young age, Spen founded one of the area’s first hip hop production groups, the Numarx. In 1986 they wrote and recorded a track called ‘Girl You Know It’s True’ which was later covered and made famous by Milli Vanilli. Spen’s radio career continued to grow and lead him to a radio career working at various FM radio stations in the Baltimore and Washington areas. In 1992, Spen developed a mixshow on 95.9 FM in Baltimore called the Flashback Saturday Night Dance Party. Though Spen eventually moved on from radio, the show is still a hit today, with Spen’s close friend KW Griff at the helm. Spen’s production talents lead him to Basement Boys Records in 1989. With the formation of The Basement Boys record label in 1994, Spen formed Jasper Street Company, and released his first full production, ‘A Feelin’. With the Basement Boys and Jasper Street, Spen gained consistent commercial and dancefloor success, and became an in-demand remix producer. He has created remixes for some of clubland’s biggest names, such as Diana Ross, Everything but the Girl, Ann Nesby, and Shaun Escoffery. While at Basement Boys, Spen partnered with Teddy Douglas, Thommy Davis and Karizma to create works that are still considered house anthems. Having reached his full potential with Basement Boys, Spen stepped out on his own and partnered with Gary Deane at Code Red Recordings in January 2004. He hasn’t stopped moving since! Spen is still producing and making records that are sure to become legend. He has formed a new group called the MuthaFunkaz whose first release, ‘The Best I Can’ shows a new side of Spen. Spen’s new venture has found him back with former partners Thommy Davis and Karizma creating the successful ‘Voodoo Ray’ and ‘4 the Love’ respectively. 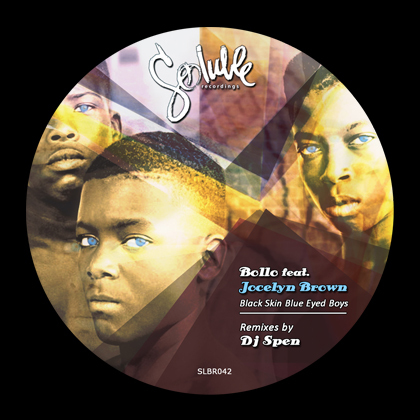 His new Spiritually Sound label will be sure to give Spen fans more of the gospel and inspirational house music Spen has become famous for. With a career span of more than 20 years and his famous studio and production work, Spen has become one of the most sought-after DJs in the U.S. Today, Spen can be found jetting off to gigs at some of the premier clubs around the world while juggling his demanding studio work and time with his new baby . He plays regularly in the UK, as well as France, Italy, Japan, and Australia.